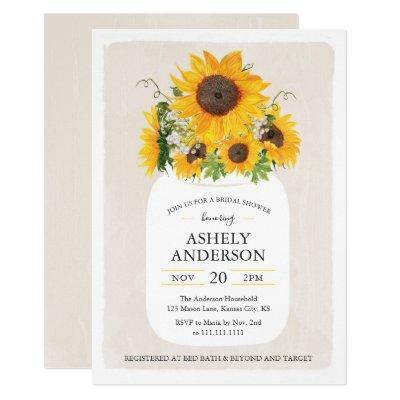 Sunflower Mason Jar Bridal Shower Invitation. Can be customized for another event! You can change fonts, font colors and font sizes! You can click the link, "Click to customize further" to change the fonts styles, font color and font sizes during customization of the invitation!